Werewolves and Europe tend to go hand in hand. Europe is where most of the research done on werewolves and lycanthropy takes place, and Europe is, for the most part, where the most well-known werewolf lore takes place. Certainly the most infamous werewolves in history were from Europe—France’s Beast of Gévaudan and Germany’s Peter Stumpp being the most well-known of all of them. While in most parts of Europe the belief in werewolves has died down a great deal since the 1700s, there are still some pockets in Europe where the legends live on. Today’s story comes from Lycanthropology 101 reader and historian Filip Ganov who, on a research trip for his book on the Balkan Wars, spent some time in the small village of Novo Selo near Macedonia. While there, he met a farmer named Trayche who told Ganov that he’d found a box while plowing a new section of field. 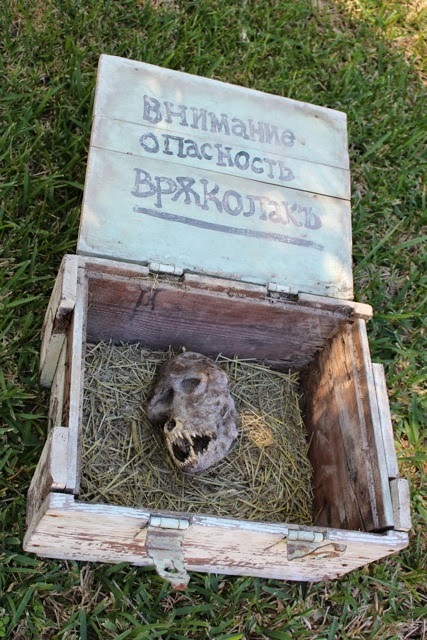 It had been chained shut, presumably to keep what was inside from breaking out: a werewolf skull, as pictured below. Thank you Filip Ganov for sharing your photos and commentary with us! 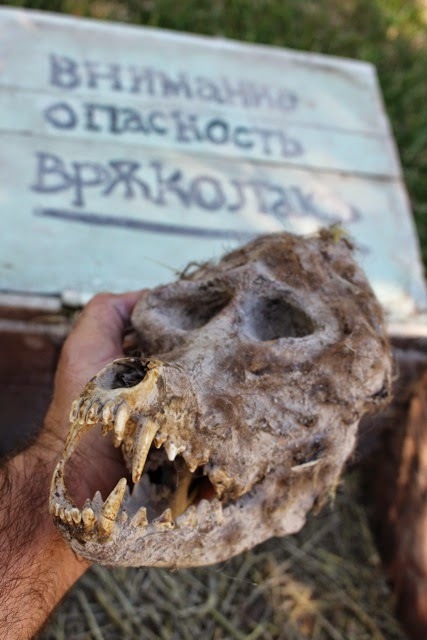 To see these photos as well as a few more photos of the location in which this “werewolf” skull was found, check out Ganov’s Google+ album right here!